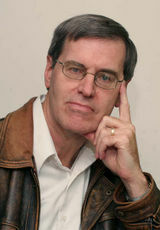 Charles Knight is co-director Project on Defense Alternatives, Commonwealth Institute, 186 Hampshire Street, Cambridge, Massachusetts. Mr. Knight is co-director of the Project on Defense Alternatives, editor of the Defense Strategy Review webpage, and president of the Commonwealth Institute, which he helped found in 1987. He has authored seventeen publications on security issues and co-authored another thirty. These have been published by the Commonwealth Institute and also appeared in such publications as Defense News, Boston Review, Bulletin of the Atomic Scientists, Social Policy, International Security, and Dissent. In 1989 he founded the Ground Force Alternatives Project at the Institute for Defense and Disarmament Studies, where he was a Research Fellow. As a follow-on to that project, in 1991 he co-founded the Project on Defense Alternatives. Mr Knight also serves on the board of directors of the Conservation Services Group, an energy conservation services company with over a hundred employees. He has made numerous presentations on security issues at governmental and non-governmental institutions, and he has served as a consultant to the South African Ministry of Defense. In 1996 Charles Knight, Commonwealth Institute was one of the original 130 founders of Campaign for America's Future. In 2001 Charles Knight was the Co-Director of the Project on Defense Alternatives (PDA) in Cambridge, MA.He wrote an article for Boston DSA's The Yankee Radical, October issue "Defense Budget Blues". It is important to note that George Bush has now fully joined the ranks of wartime Keynesians. He has a majority coalition with Democrats to spend the country out of the recession it is now entering. In the short term the left in this country cannot hope to advance a better option. We must instead focus on deepening our analysis and story of this time in history so that when our country tires of vengeful war and its repercussions we have done the groundwork to lead the country in a different direction. Part of that story should be that 90+% of military investments have nothing to do with countering terrorism or with defending our homeland and that if we desire not to be a target of terrorist hate in the future we need to change our country’s stance in the world. Furthermore, I think this is a good time for the left to reexamine a piece of its dogma: that it is the economic interests of defense contractors that keep defense budgets high. The economic self-interest of contractors is an important fact of the political economy, but the central impetus for high military budgets comes from the utility of military power to US elites in their efforts to enhance their position of dominance across the globe. We are seeing that power in action now. Nevertheless, I believe that the majority of Americans do not share that interest in dominance with conservative elites. We must learn to provide a viable security option for this majority of Americans. The Sustainable Defense Task Force was formed in response to a request from Representative Barney Frank (D-MA), working in cooperation with Representative Walter B. Jones (R-NC), Representative Ron Paul (R-TX), and Senator Ron Wyden (D-OR), to explore possible defense budget contributions to deficit reduction efforts that would not compromise the essential security of the United States. The Project on Defense Alternatives coordinated the work of the Task Force. Carl Conetta drafted the main body of the Task Force report in ongoing consultation with Task Force members who developed or digested proposals from the diverse sources cited in the report. A sub-committee of the Task Force reviewed the final draft before publication. This page was last modified on 19 December 2017, at 02:27.